Viet Cong troops attack a helicopter base at Camp Halloway. The troops blow up the barracks of US military advisors at Pleiku, killing 8 Americans and wounding 126. President Johnson orders immediate reprisals, as 49 US Navy jets attack North Vietnam. Plieku is a market town in the central highlands of Vietnam. Three miles outside of the city the US maintain a base called Camp Galloway. US special forces and advisors were based there as were a number of helicopter and transportation planes. On the night of February 6-7a detachment of Vietcong soldiers infiltrated the base and started shooting American soldiers. Eight US soldiers were killed and as many as 100 were wounded. 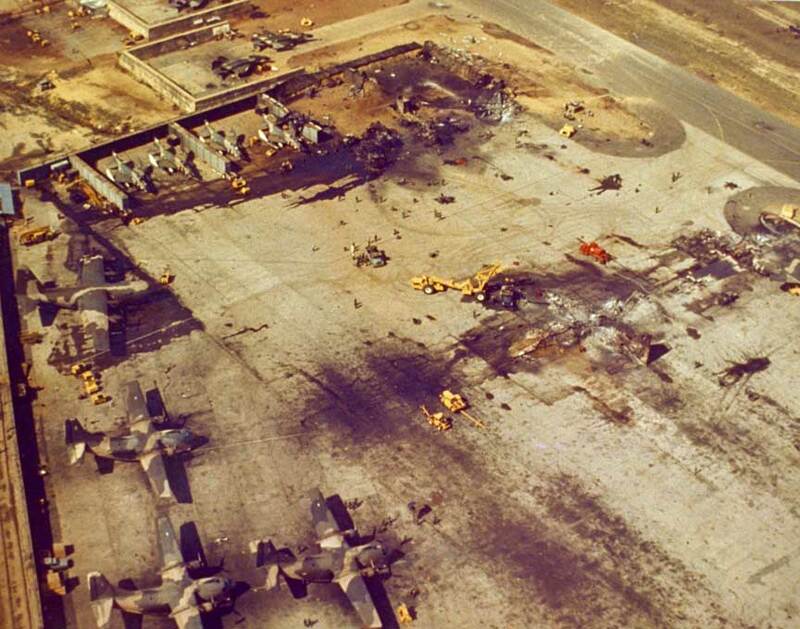 Ten US aircraft were destroyed. Many American officials had been pushing for more stiff action against North Vietnam and this attack was seen as a good reason to finally take action. President Johnson covered his national security advisors inviting Senate Majority Leader Mike Mansfield and Speaker of the House John McCormack. The majority supported Johnson’s view that this was the time to take action, thus Operation Flaming Dart was approved. The USS Ranger launched its planes to attack a North Vietnamese army camp near Dong Hoi.